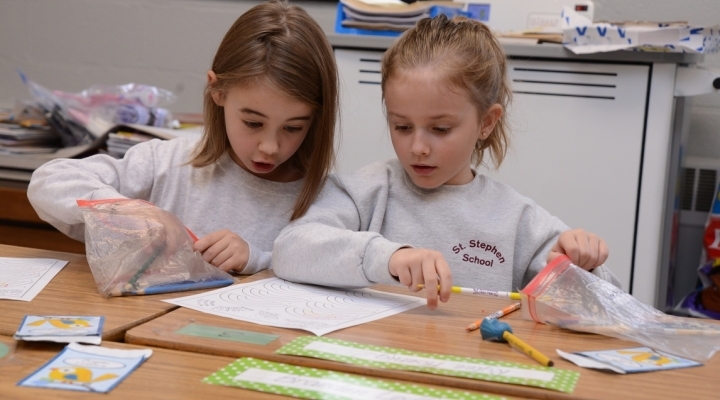 Come visit St. Stephen School and see why we're so proud of our students and teachers! 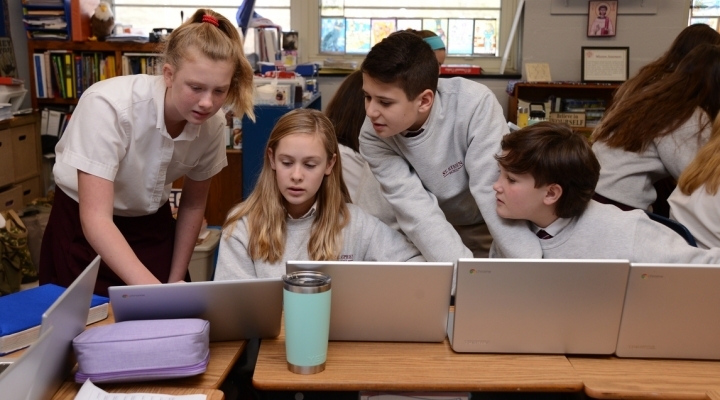 To receive more information about St. Stephen School or to schedule a visit contact the main office at 410-592-7617 or e-mail us at info@ssschool.org. Applications for the 2019-2020 School Year are now open. Applications for the 2020-2021 school year will open on August 1, 2019. *Parishioners are defined as Catholic households registered in the parish, regularly worshiping at Sunday Mass, participating in parish life, and contributing to the financial support of the parish by regular use of contribution envelopes. Required forms and documents are all collected in the SchoolAdmin portal upon enrollment. Any families with a special health care need are recommended to contact the school office for a consultation with the nurse to discuss the accommodations requested. Reading and math screenings may be administered to students in grades 2 through 8 who are new to the school. 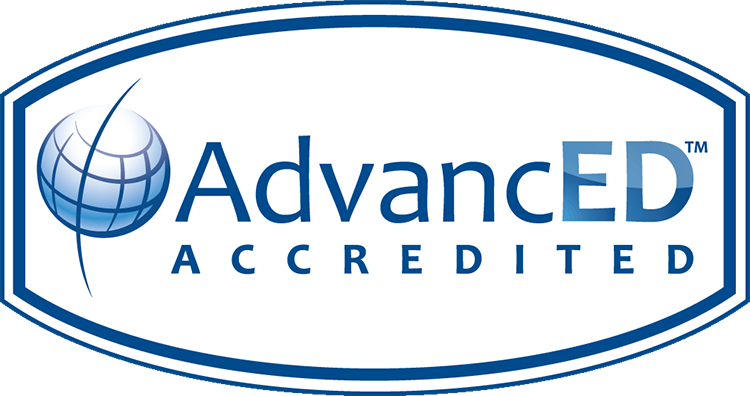 The purpose of these tests is to determine acceptance and/or class placement. A conference with the principal will be scheduled if necessary prior to acceptance. All new students are on a one year probationary period. Registration usually takes place at the end of December. Students entering Pre-K 3 must be three (3) years of age prior to September 1st of the current year. Pre-K 4 must (4) years of age. All children must be potty trained to enter into our preschool program. Pre-Kindergarten 3 meets in the mornings from 8:00am –11:00am. We offer a Three-day program: Mondays, Wednesdays and Fridays, or a Two-day program: Tuesdays and Thursdays. Pre-Kindergarten 4 meets five days a week. There are two daily sessions: Morning Session: 8:00am – 11:00am, or the Afternoon Session: 12:00pm – 3:00pm. Extended care known as our Enrichment Program is available for Pre-K 3 and Pre-K 4 from 8:00am - 12 noon or 11:00am – 3:00pm for an additional fee. Students entering Kindergarten must be five (5) years of age prior to September 1st of the current year. Tours available during the school day between 9am - 2pm. Join us on November 13, 2019 to learn more about becoming a part of the Saint Stephen School family!